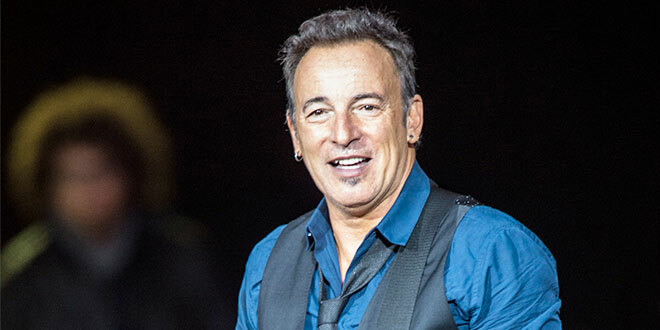 MUSIC legend Bruce Springsteen will tour Australia early next year, playing to packed houses. At the same time, the Royal Commission into Institutional Responses to Child Sexual Abuse will be preparing for what it’s calling the “Catholic Church Final Hearing”. It’s expected to last for four weeks, enabling the Commission to ask questions about “a number of factors … including canon law, mandatory celibacy and the selection, screening, training and ongoing support and supervision of working priests and religious”. This won’t be an easy time for the Catholic Church in Australia. Mainstream media will rightly devote plenty of time to the final hearing, again reporting on the many times the Church acted in an appalling way when young people were being abused. It’s a brutal story and it can never be defended. So, what’s the link to Bruce Springsteen? Springsteen’s memoirs were released last month and they make for fascinating reading about his Catholic upbringing. Springsteen writes in Born To Run that he was raised in a tough part of New Jersey, often waking at 4am to prepare for his duties as an altar server. The young Springsteen writes about the way the Catholic Church so impacted his early life. “I had felt enough of Catholicism’s corporal and emotional strain. On my eighth-grade graduation day, I walked away from it all, finished, telling myself, ‘Never again’. I was free, free, free at last … and I believed it … for quite a while. The Catholic Church needs plenty on its team when the Royal Commission probes again early next year. The media coverage will be harsh – how could it not? But the recruitment to this Catholic “team” is the Church’s responsibility. Simply, the Catholic Church in Australia hasn’t been great at telling its story. Somewhere deep in the jungles of the world, there may be unknown tribes that have done it better. But the Church has much to talk about – without ever pretending that the horrors analysed by the Royal Commission should be glossed over. They should be scrutinised in detail. Victims deserve that. But the Church does have positive things to talk about. There are the outstanding moments that happen every day in the nation’s Catholic schools, which continue to be sought by parents wanting the best education for their children. There is the remarkable work of Centacare and Catholic Care across the nation. Countless women in the darkest moments of their domestic violence trauma can attest to Centacare’s work. There is the everyday work of parishes which operate at ground level, creating communities that support each other and reach out to others. And there are countless other moments from a Church that has interacted with millions of Australians. Audiences are ready to hear the stories – we’re consuming news and information in greater volumes than ever before. And some of that growing bandwidth is being filled by those with a hatred of the Church. Reckless Greens MPs continue to push for an end to public funding of private schools – their argument is based on ideology rather than voters’ preferences. The same Greens stridently push for the decriminalisation of abortion – one of their Senators recently remarked that the only people who decry abortion are “old men with grey hair”. And there continues to be the usual calls for the taxing of churches – all made without the accompanying economic insights into how that would play out. But this is the world in which the Catholic message is trying to be heard. There is no point in wishing it away. The doors are open for the Church to be better at telling its story to the many “Springsteens” who may not be active Catholics but who have a long Catholic connection. The rise of social media and the surge in news consumption are good for the Catholic Church. Now is a time to engage more often, without ignoring the importance and the need for media coverage of the upcoming Royal Commission hearing. Michael Crutcher is the Archdiocese of Brisbane’s General Manager of Communications. He is a former editor of The Courier-Mail.